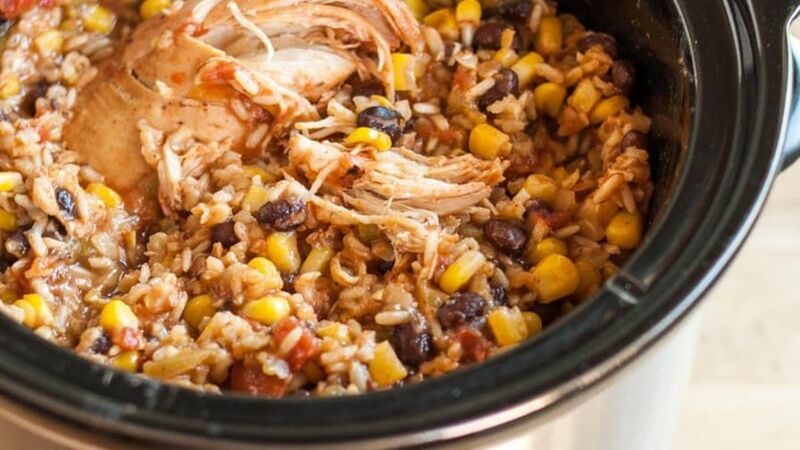 Shred chicken in crockpot and cook for one more hour (if seems too runny, leave lid off). Wrap the chicken in soft tortilla shells with grated cheese, shredded lettuce, avocado, tomatoes. Enjoy!